Delta Sigma Theta Sorority, Inc. was founded on January 13, 1913, by 22 collegiate women at Howard University. These students wanted to use their collective strength to promote academic excellence and to provide assistance to those in need. In March of 1913, the Founders of Delta Sigma Theta Sorority, Inc. performed their first public act by participating in the Women’s Suffrage March in Washington, D.C.
Delta Sigma Theta Sorority, Inc. was incorporated in 1930. 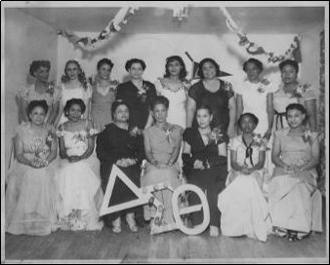 Our chapter was chartered as the Beta Delta Sigma Chapter on May 15, 1941. In 1957, a Grand Chapter mandate required all graduate chapters to be known as alumnae chapters of the city in their service area. With that mandate, Beta Delta Sigma became Savannah Alumnae Chapter. politics, healthcare, engineering, entrepreneurship, communications, the arts, community activism/outreach, and more!